This unique Technology of Personality Transformation, developed by Alexander Sviyash, enables you to live significantly more happily than millions of people around you. You’ll be able to use it IN THE SOLUTION OF ANY OF YOUR PROBLEMS. In life we are often faced with unwelcome situations. We haven't got enough money. We've got problems with relationships at home or at work. We're forever dissatisfied with ourselves, or something else. We try to change it, but just make matters worse. We get the feeling that some unknown person is deliberately creating problems for us. Is someone really interfering in our lives? Or even punishing us for mistakes we're not aware of? No, we create all our problems ourselves. We break certain rules, which are known to us, but which we don't attach importance to. We thereby trigger inner mechanisms which block our path to the goals we're striving for. As a result, situations arise which we evaluate as "problems", "failures", "betrayal", "crises" and so on. 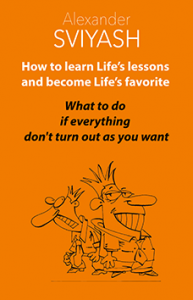 In this book there are recommendations as to what you need to change in yourself so that problems and failures no longer figure in your life. 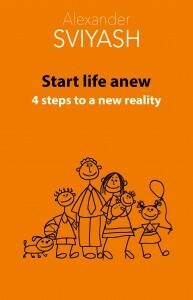 There are lots of books which provide recommendations as to what you need to do to achieve success. People read these books, but only a handful of them apply the recommendations. Certain internal psychological mechanisms prevent most people from using other people's experience. 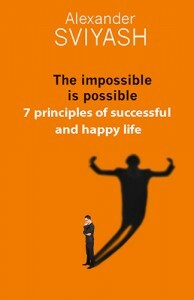 The book "7 Principles for a Successful Life" is based on the results of research over many years into the way people make decisions; and why in the end their actions do not lead to the results they're striving for. The book describes psychological mechanisms which are completely new to you: mechanisms which control your actions and foist decisions on you which are completely at odds with what you want. Each of the 7 principles is a straightforward recommendation as to what you need to do in order to overcome internal mechanisms which are blocking your efforts on the path to your desired goals. And in order to achieve what you're striving for. These ideas will probably be completely new to you. They're not taught in colleges or universities. But the application of these principles has already changed the lives of hundreds of thousands of people for the better. You can benefit from this as well. You don't need to believe in what is written in the book. You simply need to take and start using the principles suggested. And you'll see the positive changes which will take place in your life.